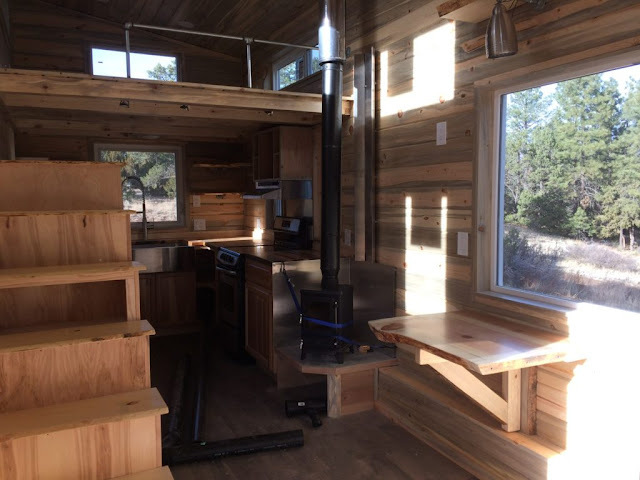 Check out this cozy tiny home from Rocky Mountain Tiny House, built onto a 34' gooseneck trailer! The home was custom built for a couple from Flagstaff, Arizona, with a tiny house-friendly property that backed onto a ntional park. 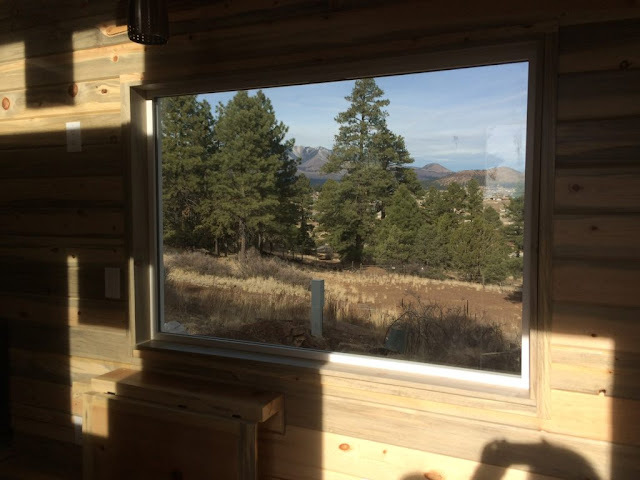 With concerns for fire safty, Rocky Mountain used steel to construct the exterior of the home. 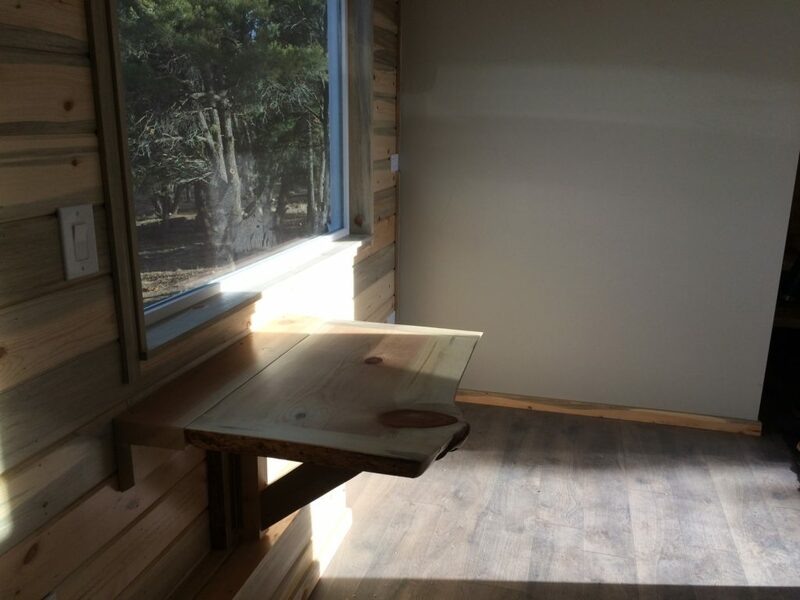 Inside, is a beetle kill pine interior with a full kitchen, bathroom, living room space, a master bedroom in the gooseneck, and a guest loft. 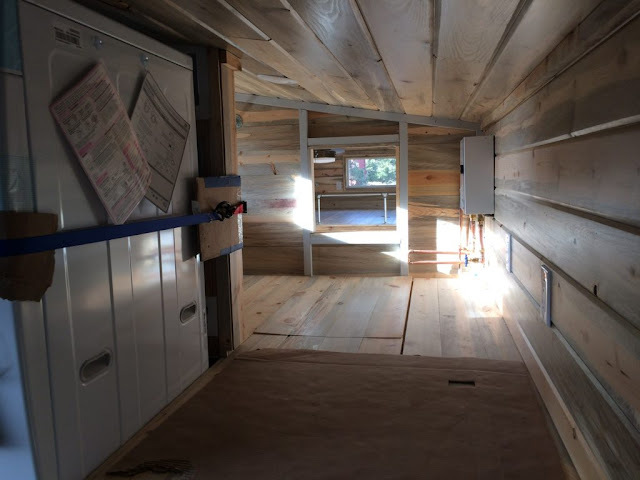 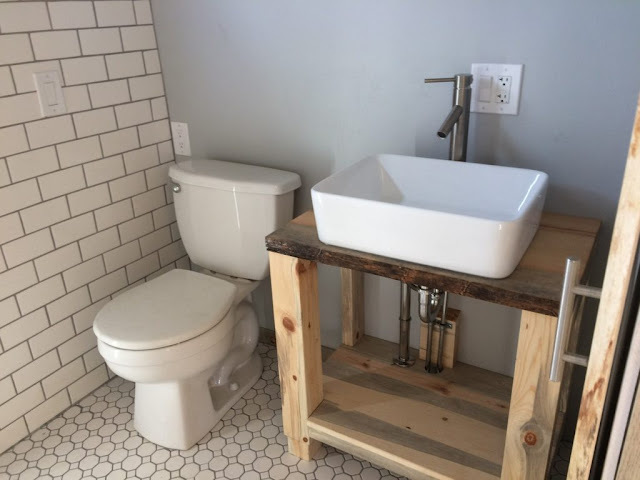 The kitchen comes outfitted with an lectric stove, fridge, stainless steel apron sink, live edge open shelves, hickory cabinets, and a live edge slab countertop. There's also a dining space with a Hobbit woodstove and a live edge folding table. 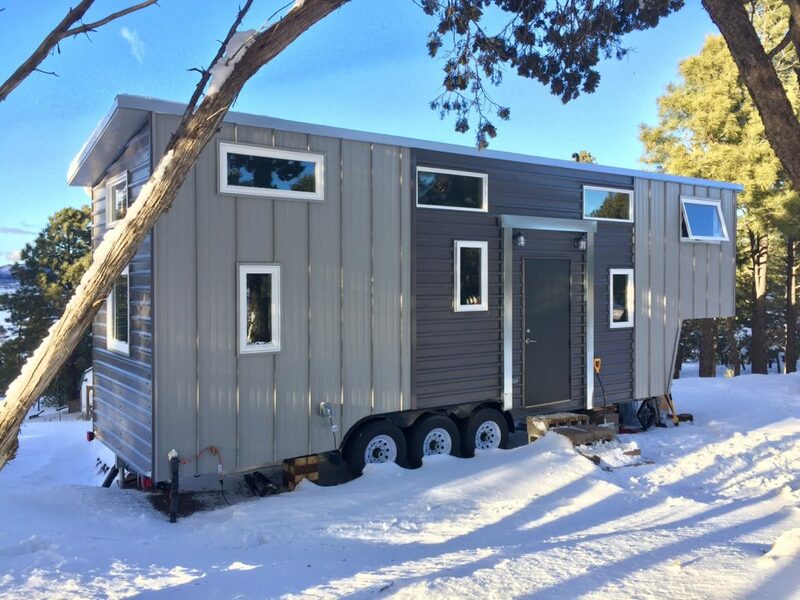 For a similar home, expect to pay around $80,000. 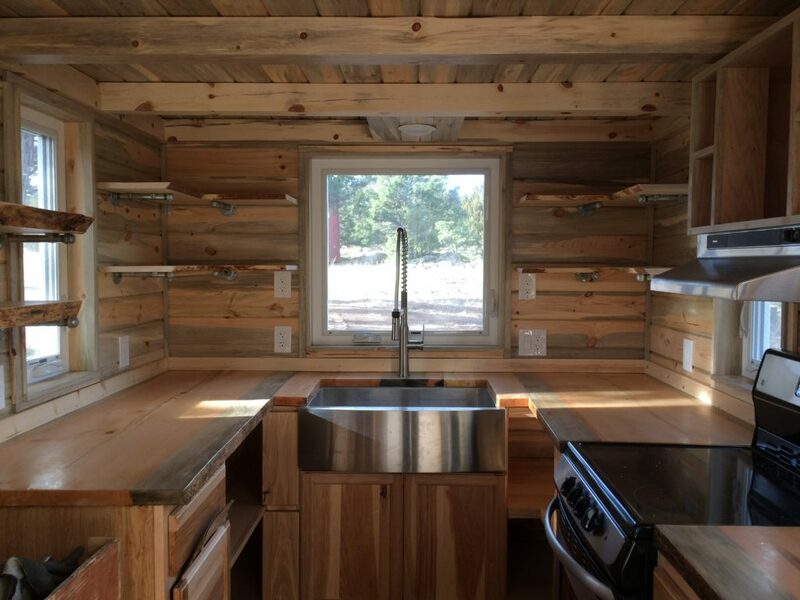 More more info and/or inqueries, contact Rocky Mountain Tiny Houses here.